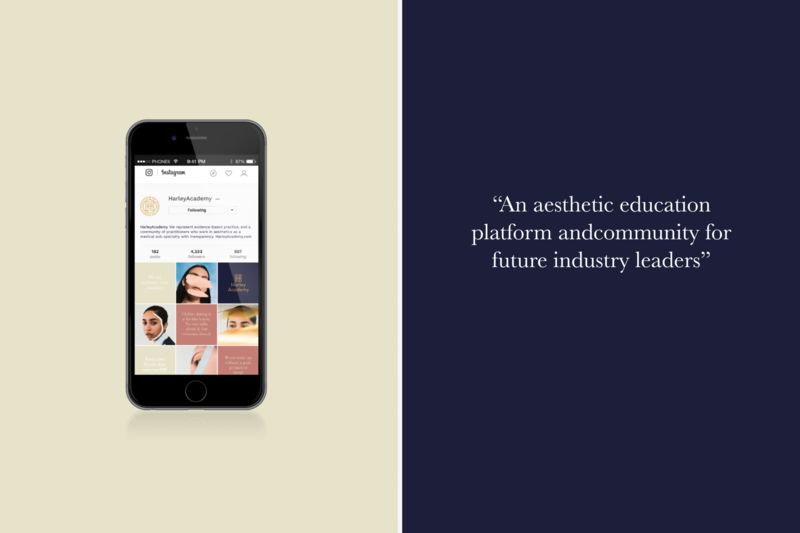 An education platform and community for future industry leaders in aesthetic medicine. 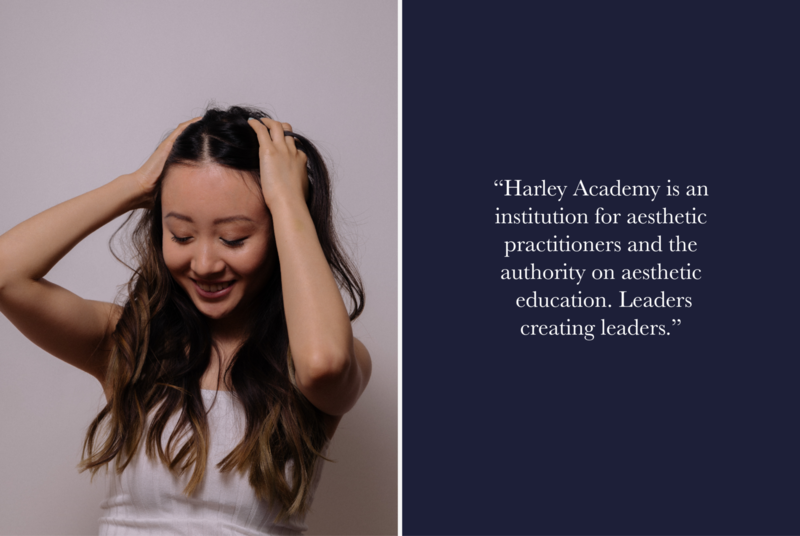 Harley Academy were rapidly becoming the aesthetic industry’s front-runner in training and education, whilst moving into a TechEd arena. They asked us to completely rethink their existent aesthetic (oh the irony! ), which was outdated and indistinguishable from their competitors. 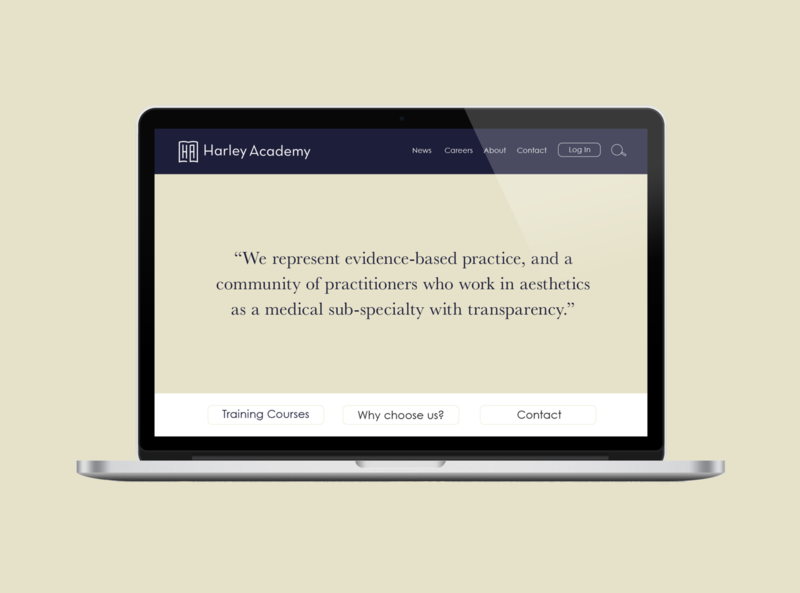 Our challenge was to create an identity that was equally reflective of their prestigious educational offering, as well as their progressive digital approach, whilst ensuring they appeared approachable and trustworthy. Harley are industry disruptors, so it made sense to go against the stale brand strategies prevalent within this market. 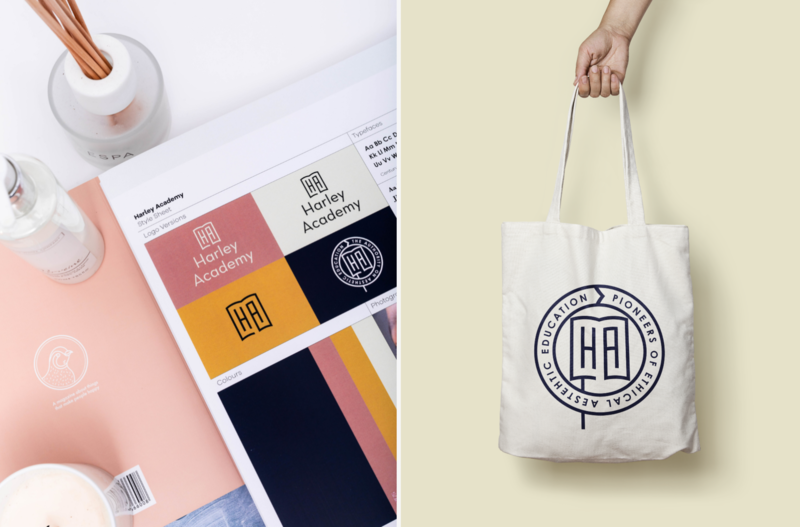 We began by taking inspiration from prestigious British collegiate universities, coupled with iconic digital symbols, which resulted in a set of logos that managed to seamlessly combine education and tech. 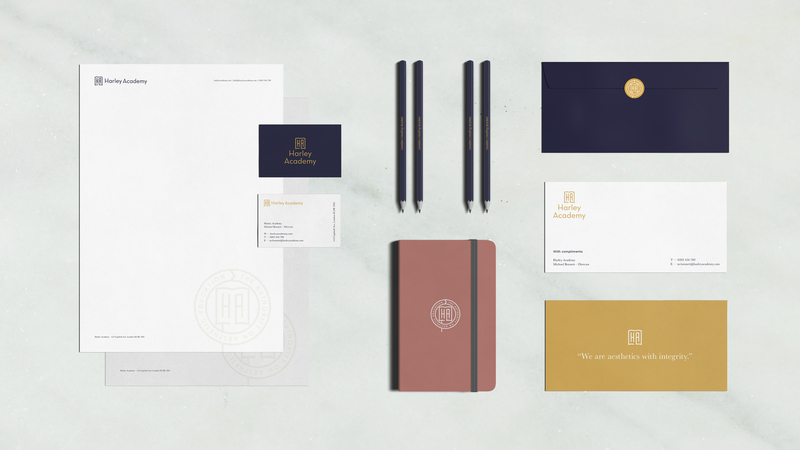 Their new photographic identity was galvanized by Harley’s desire to bring a more humanistic look to the industry. 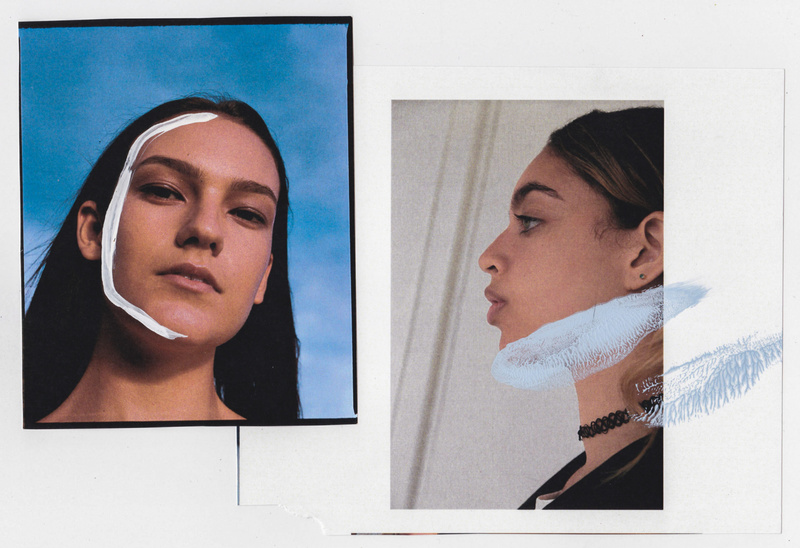 We chose ‘real models’ of various ages from a range of ethnic backgrounds to achieve a campaign that was inclusive and diverse. 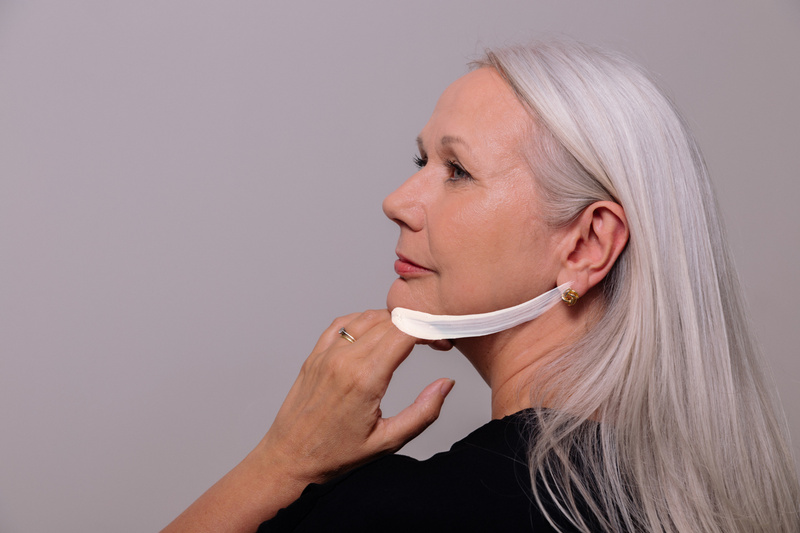 We then opted for a editing process that focused on natural skin tones and textures, and avoided unrealistic airbrushing, to create a direction centered proudly on the beauty in human difference. 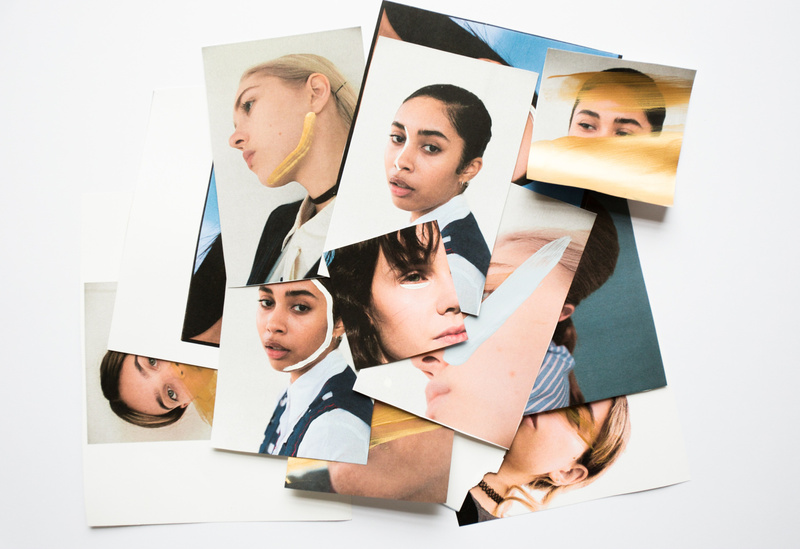 The illustrative identity followed suit, using warm tones inspired by skin with bolder injections of bright colours taken from the brand palette. Very little use of linear borders created a soft abstract effect, whilst subtle brush strokes were used to created the illusion of skin-like texture. 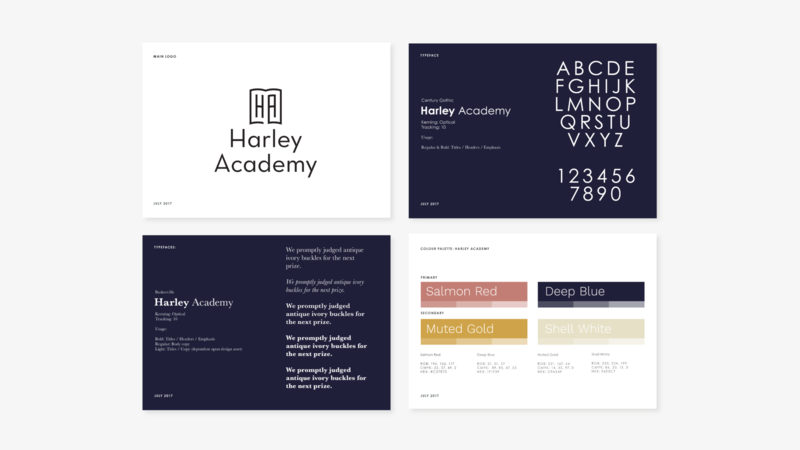 The re-envisioned Harley Academy brand manages to tread a delicate line between conveying their professional standing, alongside their friendly nature and forward-thinking approach. Neither stuffy nor brash, we’ve created an identity that works fluidly across the different parts of their business and stands out like a beacon of light among an industry whose image has largely stagnated.